"The 2013 Chicago Marathon field is LOADED with talent as race director Carey Pinkowski has done a stellar job yet again. How loaded? Well, let's try to put this in perspective for US fans. The field is so loaded that we only rank America's #1 hope - 12:56 5,000, 60:00 half marathon and 2:07:47 marathon man Dathan Ritzenhein - as the 10th most likely man to win the race on paper. That's crazy, as Ritz has been enjoying a strong 2013 campaign during which he's run the second fastest 5,000 of his career (13:09)." - Excerpt from our 2013 Chicago Marathon men's preview. 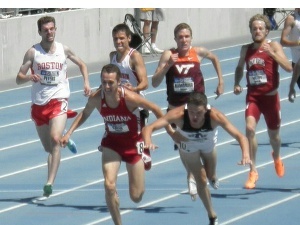 Most guys sub-14 on one NCAA team? LRC 5 Takeaways From Thursday's One-On-One Interviews: Mosop Is Healthy And Fit, Tadese Is Ready For Another Crack At 26.2, Kimetto And Abshero Are Confident, And Kogo Hopes He's Ready For Uncharted Territory We broke down the race earlier for you on you on paper, but you never know what really to expect until you get the inside scoop on-site. We've got it and you can as well if you read our piece. Plus was there a fix at the 2012 Berlin Marathon? LRC Men's Preview: Who Will Emerge In Loaded Men's Field? Do Americans Tegenkamp And Ritzenhein Have A Chance? Marathon studs Moses Mosop (2:03:06), Dennis Kimetto (2:04:16 debut, Tokyo win), Ayale Abshero, Emmanuel Mutai and Micah Kogo are all in Chicago for this Sunday's Bank of America Chicago Marathon. Plus, you've got world record holder in the half marathon Zersenay Tadese and then there is American Dathan Ritzenhein and Matt Tegenkamp in his debut. Plus you've got the Kenyan "Ritz" in the field. We break down the men's field for you and will have more later from today's press conference. 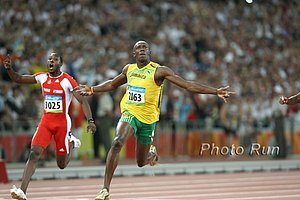 Glen Mills Is Irate That The Media Thinks Jamaica Is Lax About Drug Cheats If there is nothing to hide, then what's wrong about having to pee into a cup? Lance Armstrong's Not Surprised: Many Psychologists Stunned That Many People Get A "High" From Cheating A recent study came out entitled "The Cheater's High: The Unexpected Affective Benefits of Unethical Behavior." Unreal: NYRR's 1st President Ted Corbitt Once Did 300 Miles In Six Days At Age 82 Want to learn more about the distance running pioneer? Check out the new http://www.tedcorbitt.com/ which launced last week. Sherone Simpson Now Training With Loren Seagrave At ING Academy In Florida There is more to this story. Simpson and Asafa Powell tested positive and former coach Stephen Francis said he wouldn't work with her unless she left agent Paul Doyle. She didn't. Unknown 27-Year-Old Erick Ndiema Wins Family Bank Half Marathon In Eldoret At Altitude In 62:55 The self-coached runner has been running for just 4 years. Coming This Weekend: Saturday's BAA Half Marathon Pro Field Announced: Kim Smith And Stephen Sambu Lead Standings To Win $100,000 Lelisa Desisa and Gebre Geremariam are the headliners in the men's field but not eligible for the $100,000 bonus. 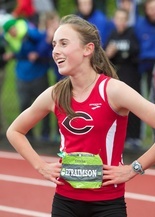 Oregon's Dellinger Invite: High School Junior Alexa Efraismson "Ambushes" The College Women To Take The Individual Title Over Boise State's Emma Bates At The Dellinger XC Invy It was a close race as Efraismson and Bates both clocked 16:35. Oregon Men Win At Home At Dellinger XC Invy, Led By 2nd-Place Finish By Edward Cheserek Washington's Aaron Nelson was the overall winner in 23:55. Alan Webb was also in the race, finishing in 24th place in 24:46. Paul Short: Abbey D'Agostino Dominates Women's Paul Short Race, Winning By 26 Seconds It was a great day for Dartmouth as the unranked teams were second in both races, with the women ahead of #10 Cornell and #12 Villanova and the men ahead of #20 GTown. Extreme Heat At Paul Short Puts 18 In Hospital With 150 Sent To Medical Tent Half the day's races were actually cancelled due to the extreme heat. Notre Dame: Florida State Women Win Notre Dame Invitational Over New Mexico, Led By 2nd-Place Finish By Colleen Quigley Duke's Juliet Bottroff was the individual winner. 30th-Ranked Columbia Men Win At Notre Dame, Beating 7 Teams Ranked Ahead Of Them Columbia ran as a strong pack with their first 3 runners only separated by .9 seconds. UTEP's Anthony Rotich won individually in 24:18. *Columbia Head Coach Willy Wood On Men's Notre Dame Win: "This was probably the greatest win in the history of our program. I could not be more proud of our guys." Louisville: Louisville Men Win At Home At Their Greater Louisville Classic On the women's side, Kentucky and Texas A&M tied for first. LRC Women's Preview: Which 2:22-23 Woman Will Win On Sunday? The women's field has no overwhelming favorite, but has seven 2:22-2:23 women, including the two who gave us a thrilling sprint finish. What about the Americans? Yuki Kawauchi Ahead Of Sunday's Melbourne Marathon: "Some 2:07 athletes will be there, so I'm really looking forward to it. I'm going there to win." Eindhoven Marathon Director Hoping To Become 7th Marathon With 2:04 Course Record This Weekend He's removed 8 turns from the course to make it faster. Current CR is 2:05:46. Houston winner Bazu Worku is one of the leadinug entrants. Melbourne: Yuki Kawauchi Running 8th Marathon Of Year In Melbourne This Weekend - Where He Is Race Favorite He's got New York 3 weeks later. Q&A With Dan Huling, Who Calls 2013 Season An "Extreme Disappointment" Huling joined Evan Jager's training group this year. 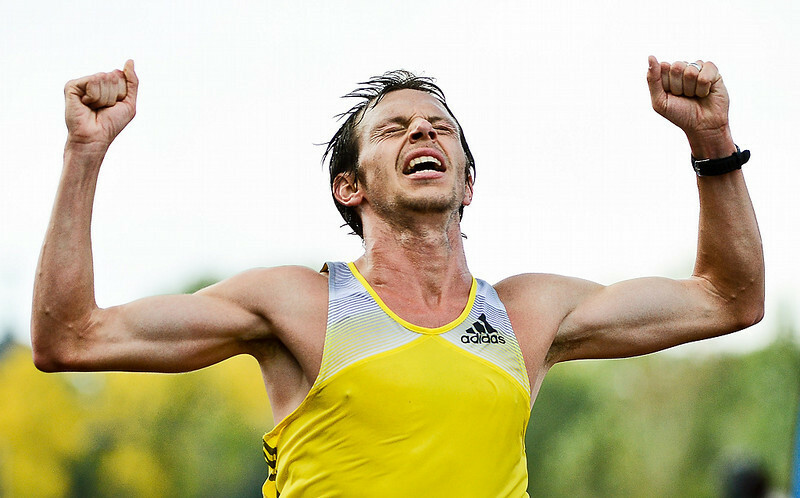 Aussie Miler Ryan Gregson Is Still Only 23 And Looks Back At 2013: "I had a bit of a down year." Phillips Idowu Pleads Guilty To Drunk Driving, Loses License For 2 Years, Gets £145 Fine He was nearly 2.5 times the legal limit and loses his license for 2 years and gets a £145 fine. A domestic disturbance with the cops apparently caused him to get in his car. 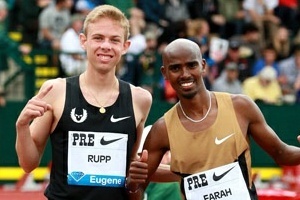 Brits Are Taking Seriously Idea That Mo Farah Can Break 2 Hours In The Marathon The talk is crazy. Mo Farah running sub-3:30 was shocking but sub-2:00 is a whole different planet. 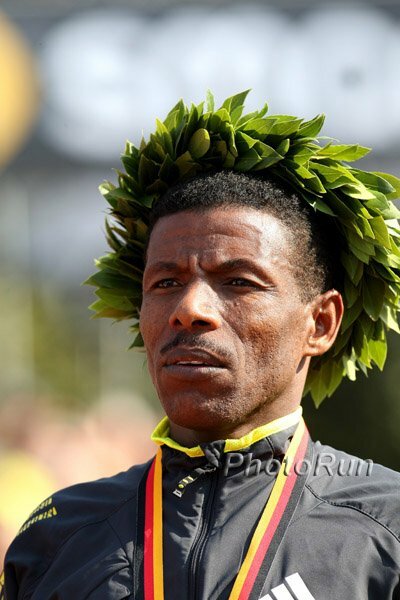 Great Scottish Run: Haile Gebrselassie Wins Great Scottish Run Half In CR 1:01:10 Over 2012 10k World Leader Emmanuel Bett (1:01:41) UK's Chris Thompson was 5th (1:04:49) and Scotland's America-based Andrew Lemoncello was 6th (1:04:55). GB's Susan Partridge won the women's race in 1:10:40. Pre-Race: Daily Record: Olympic Legend Haile Gebrselassie Not Ready To Put His Feet Up Yet "I don't come into any race wanting to come second. At the Great North Run, I was standing between Mo and Kenenisa and I was asked which would be the winner. I was looking at the person thinking: 'do you think I'm in this to be behind them?' I always look to be in front." Lisbon Marathon/Half: Former World Half Marathon Champ Wilson Kiprop Wins Portugal RnR Half In CR 1:00:19 Eritrea's World XC bronze medalist Teklemariam Medhin was 3rd in 1:02:05 as Imane Merga was back in 5th (1:02:40) with Tariku Bekele farther back in 8th (1:03:21) and World 10k silver medalist Ibrahim Jeilan making a poor half debut in 11th (1:04:37). Italy's World Marathon silver medallist Valeria Straneo won the women's race in 1:09.21. In the accompanying marathon, Kenya's Paul Lonyangata won in a Portuguese soil record of 2:09:46 with Ukraine's 9-time Euro XC champ Serhiy Lebid 2nd with 2:11:24 in his debut. Agnes Kiprop took the women's title in 2:31:15. Other: Ryan Vail Wins San Jose Half Marathon In 1:02:46; Fernando Cabada 2nd In 1:03:14 Natasha Wodak won the women's race in 1:14:39. 2011 Boston Champ Caroline Kilel Wins Kenya Airways Masai Mara Half Marathon Leonard Lang'at won the men's race. This race had an interesting prize as five from this race get sponsorship to run in the 2014 London Marathon. World Half Marathon Bronze Medallist John Mwangangi Wins Paul Mulei Half Marathon In Kenya In 1:03:30 Mutheu Kamakya Mutuku won the women's race in 1:14:52. Patrick Kiptanui Korir Wins Slovakia's International Peace Marathon In 2:09:36 As The Top 3 Were Only Separated By 9 Seconds IAAF Ethiopia's Ashete Dido won the women's race in a CR 2:27:47. JapanRunningNews Japanese Track And Road Weekend Roundup You can watch a video of Yuki Kawauchi shaking the hands of pretty much the entire half marathon field in a tune-up race he was doing for NYC. 3 Years After Finishing In Top 25 At NCAAs, Richmond Struggling In Cross-Country Now That Track Has Been Cut At School Coach Steve Taylor is finding it next to impossible to recruit for cross-country only. Maybe Dave Smith has some ideas. Nick Arciniaga Wins Close Men's Race For First Marathon Win And USA Title; Annie Bersagel Takes Women's Title Comfortably It was a super-close one on the men's side as Arciniaga outkicked Josphat Boit for the title. Recommended Read: Toni Reavis Looks At The Money Situation In American Running And How US Runners Don't Have The Same Risk/Reward Incentive As Kenyans Reavis points out how in Kenya "even a modest payday at a prize money race ran change one's quality of life significantly" while in the US it might be the difference between "living with three roommates to renting an apartment alone for a year." Recommended Read: St. Paul Pioneer Press Story On Twin Cities Marathon Men's CR Holder Phil Coppess, Who Set The Record In 1985 At 2:10:05 While Working Full Time In A Factory And Raising 3 Kids There is actually someone in LA right now making a documentary and hoping to eventually make feature-film movie on Coppess' life and record run. Coppess also won the 1982 Chicago Marathon, beating out Olympic champion Frank Shorter and Olympian Garry Bjorklund. DownTheBackStretch Men's Recap Arciniaga actually let the leaders go for a time, saying that he had hamstring issues throughout the race and thinking it might even tear, but was able to get through it and reel everyone back in. Jonathan Grey And Danielle Stack Kick Off Twin Cities Marathon Weekend With New Course Records At The TC 10K (29:58 And 35:21) Andrew Calrson won the TC 5K Run/Walk in 14:46. We Need More Of This: Twin Cities In Motion Reaffirms Elite Athlete Support Executive Director Virgina Brophy Achman said, "We have four pillars in our mission and the sport is one of those pillars. We've had a long-standing position since the '80s when we began supporting post-collegiate athletes." "Ambitious" Is One Way To Put It: Seb Coe Says Mo Farah's Bid To Break 2 Hours In The Marathon Is "a very, very ambitious aim." 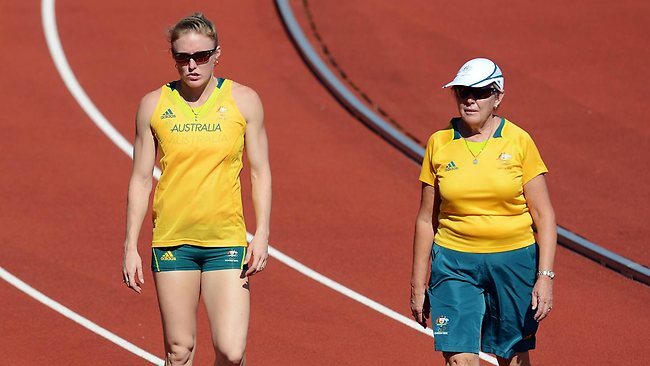 "To put that into perspective and to understand what that means, go down to your local running track, run a lap in under 70 seconds, and then continue for 105 laps. You get the scale of what we are talking about." Good Read: Excerpt From Mo Farah's Autobiography Talking About His Childhood And Dealing With His 12-Year Separation From His Twin Brother Hassan "Twelve years is a long time to be away from someone you love. It's hard to describe the joy of that moment [seeing his brother again]. It felt like a part of me had been missing the whole time I had been growing up ... At last, the void in my life was gone." Don Valley Replacement Stadium Woodburn Road Opens In Sheffield, Hometown To UK's Jessica Ennis The stadium had £325,000 worth of improvements that were needed to make it fit for training and competition after a period of non-use. Interesting Read That Asks Some Good Questions: Jamaica Gleaner: Is A Public Warning For VCB Punishment Enough? "My question is, does a public warning really make sense? A public warning is not 'punishment.' It's essentially saying, we won't punish you now; be careful, or else. But if the panel believes you are guilty, a public warning essentially gets you off scot free."